CHA offers a wide range of sources designed to increase system performance and operator convenience for the most demanding applications. Smartsource 6-25cc side drive front view lid up. Smartsource 6-25cc side drive side view lid down. 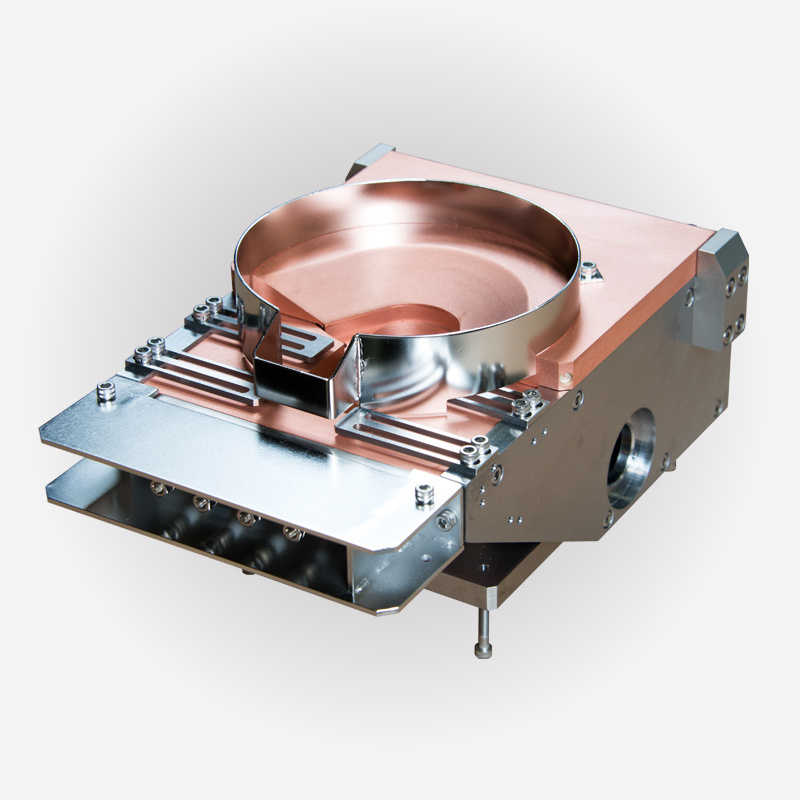 With optional split cover lift lids the driving trend in multi-pocketed electron-beam guns, CHA developed their patent-pending SmartSource, a water-cooled, electron beam gun designed to raise PVD system performance and operator convenience. It features a unique, split cover lift lid that reduces cross-contamination of source materials between pockets, prevents debris from building up in the areas most prone to jamming, and keeps material from evaporating when the lid is raised and lowered. The lid also has the option of being provided with one or two-piece configuration. 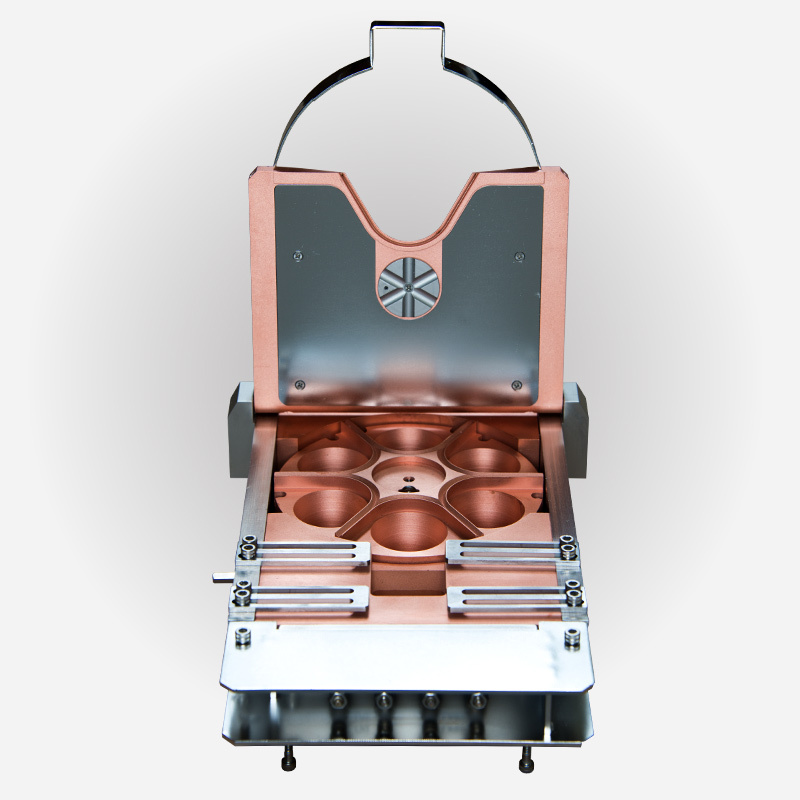 The two piece configuration allows for that part of lid (copper or stainless steel), which has the most evaporant to be removed and cleaned without breaking the water-cooling circuit of the EB Gun. CHA's thermal Fixed Resistance Sources are available in several designs and are compatible with most popular filaments, boats, crucibles, etc. Contact CHA for custom sources<. 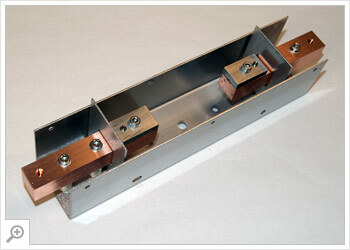 CHA's thermal Outrigger Source has a fixed mounting position that is adjacent to an EB gun. CHA's SmartSource Electron Beam Gun combined with CHA's unique thermal Swing Source addresses applications from university and R&D to multilayer thin film processing, including GaAs devices to optical coating. Available in 4-, 6- and 8-pocket configurations, the SmartSource uses a permanent magnet with a superimposed field that is varied by applying current to electromagnetic coils that provide longitudinal and lateral sweep. The Swing Source ensures deposition from the centerline of the chamber. See CHA's EB + 3 Swing Sources in action. 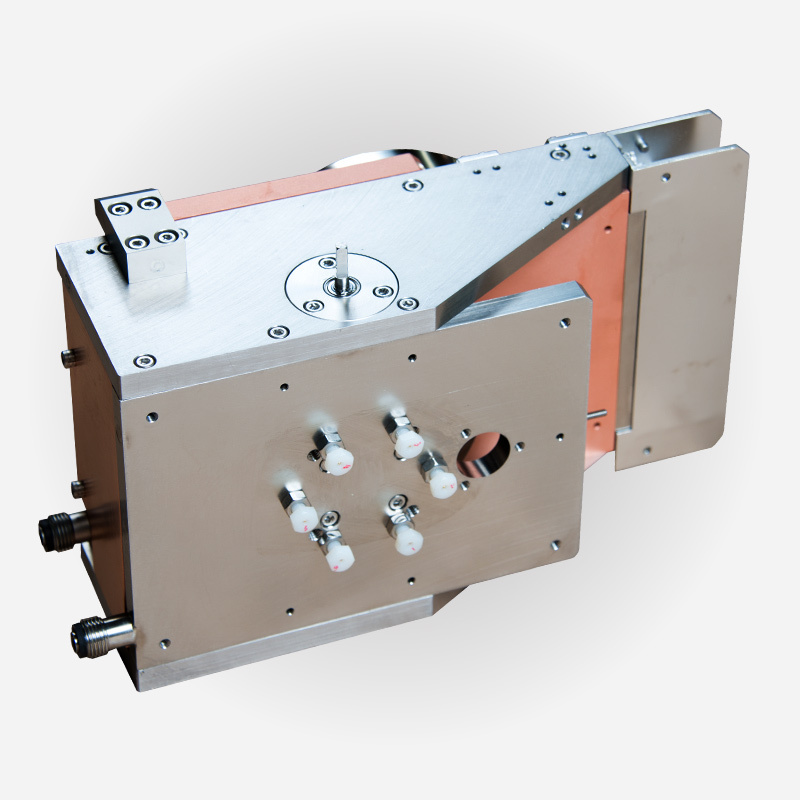 CHA's wire-fed FlashSource assembly is designed for flash evaporation of alloys and the deposition of pure metals such as silver, gold, copper and aluminum. 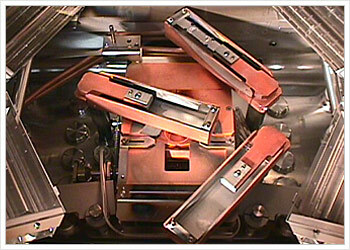 Flash evaporation helps prevent the fractionation of the alloy. The FlashSource accepts commercially available wire and boats, and can lower costs and maintenance by saving power and water consumption. Call (510) 683-8554 or email CHA for more information.